Half-Pint Daycare & Preschool, LLC - New Playground 2012 Thanks so much to my husband for spending all his weekends, evenings and any spare time, for weeks, custom making the kids new sandbox and playground. He built them a giant sandbox and play structure. It was done just in time before school got out. You are the best! And the kids are loving it! Thank you so much! We Love You!! Thanks so much to my husband for spending all his weekends, evenings and any spare time, for weeks, custom making the kids new sandbox and playground. 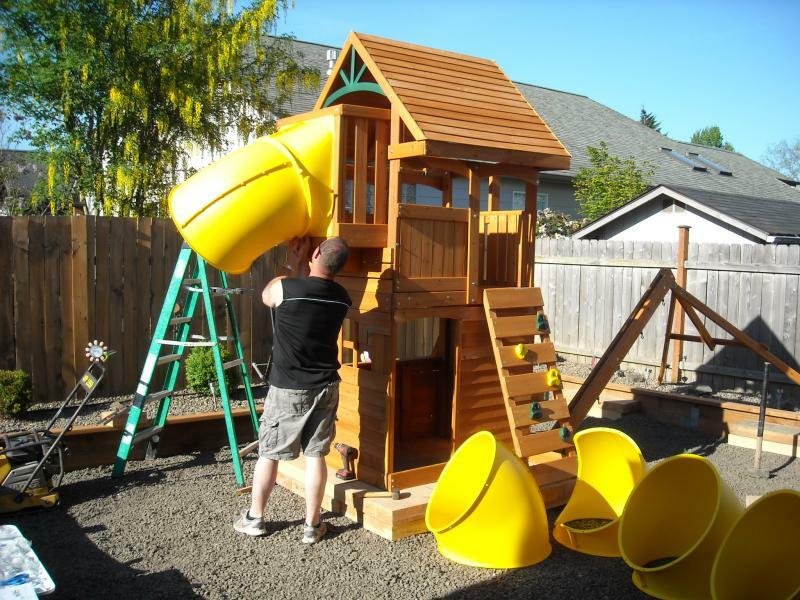 He built them a giant sandbox and play structure. It was done just in time before school got out. You are the best! And the kids are loving it! Thank you so much! We Love You! !